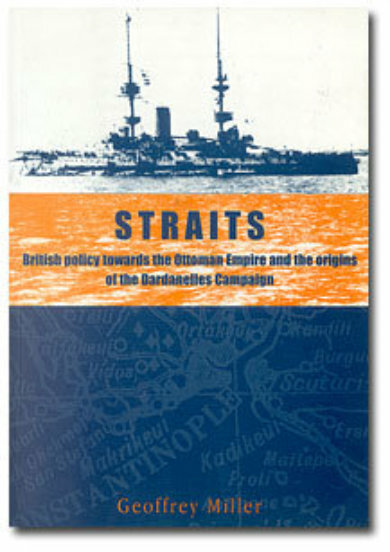 Given below is the complete Introduction which appears in "Straits". This introduction is provided as a service to those who may be interested in the subject. It provides an indication of the scope and content of the book but please note that, in accordance with the provisions of the Copyright Act 1988, it may not be reproduced without the prior permission of the author. Further below is the Table of Contents. "By 6 o’clock therefore on the morning of August 7  the Goeben, already the fastest capital unit in the Mediterranean, was steaming on an unobstructed course for the Dardanelles, carrying with her for the peoples of the East and Middle East more slaughter, more misery and more ruin than has ever before been borne within the compass of a ship." [Winston Churchill] The Ottoman Empire had undergone a fundamental change since the military defeat at the hands of the Russians in 1877. The lurid western image of the Sultan, Abdul Hamid (universally known as Abdul the Damned), masked certain advances that had been made and which looked likely to continue, albeit at a snail’s pace. These reforms however could not come soon enough to head off the pressure building from within the Empire and which exploded in 1908 with the Young Turk revolution. Initially with limited aims, the Young Turks and, in particular, the inner circle forming the heart of the party – the Committee of Union and Progress (C.U.P.) – would increasingly stand at the centre of Turkish politics, for good or evil. As with other reformists, the Young Turks looked beyond their own borders for help in the task of modernizing the Ottoman Empire. The German Emperor had already demonstrated his willingness to assist, his overt altruism as always underpinned by hard commercial and strategic logic. Sir Edward Grey, the British Foreign Secretary, also made soothing noises in London and, for one brief shining moment, British stock in Turkey rose to unheard of heights culminating in a spontaneous public display of approbation when the new Ambassador, Sir Gerard Lowther, arrived soon after the revolution. The pieces were there to be picked up; but Lowther would not stoop. Malign influence from within the Embassy, together with his own haughty personality and confusing signals from London, combined to bankrupt the British stock and leave the way open for Germany. Nevertheless, it should not be thought that the scheming Teutons then proceeded to coerce the Turks to their bidding; for the Turks could be equally scheming. The end result – Turkey’s entry into the war as an ally of Germany – owed more to the machinations of a German Admiral, Wilhelm Souchon, and Enver Pasha, the Minister for War, than it did to the prevarication of the less rabid members of the Committee of Union and Progress who had hoped to use Germany until it was felt the moment had arrived when Turkey could be admitted as a fully paid-up member of the international club and join the exclusive coterie of nations entitled to be described as Powers, with all the majesty denoted by that imposing capital letter. As part of this grand scheme, and at Turkish invitation, Britain undertook the onerous task of modernizing Turkey’s navy; Germany reformed her army; France contributed most financially. Despite this, the Ottoman Empire in the early twentieth century was still an unwieldy product of past glories with glistening fruits at the extremities which were ripe for the plucking. The power base of the Young Turks was too narrow and, while the heart beat more strongly in Constantinople after the revolution, the effect was too late to save the atrophied limbs. When trouble struck the new régime at the Sublime Porte in 1911 (the certainty of which was only partly offset by the surprise felt that it should be the Italians who began the process of dismantling the Empire), the Young Turks turned to Britain for an alliance; they were rebuffed. Further approaches were made, all with the same result. British support for France, to prevent her ‘falling under the virtual control of Germany’, was essential; British support for Russia was necessary, or, as Grey admitted, ‘we should again be faced with the old troubles about the frontier of India’; British support for the Ottoman Empire was an unnecessary entanglement. But Grey did not write Turkey off completely: after the disappointing tenure of Lowther, one of the rising stars of the Foreign Office, Sir Louis Mallet, was dispatched as Ambassador with a remit to repair the damage done by Lowther. This Mallet attempted to do. That he was, ultimately, unsuccessful was due more to a combination of the sinister forces that continued to operate within the British Embassy at Pera and a fatal defect in Mallet himself: seeing what he wanted to see. The flattery lavished on his hosts was used against him; paternal and gullible in equal measure, Mallet’s mission was a failure. Whether it could have been otherwise if more support had been forthcoming from London is problematical. The difficulty for Britain was that there was a lack of consensus over the policy to be pursued with regard to the Ottoman Empire and this in turn created a vacuum which was then filled by the personal views of the Ambassadors and other advisers. The cornerstone of Grey’s foreign policy was the Anglo-Russian Convention of 1907. When the Liberal party came to power in December 1905 Russia had just been humiliatingly defeated by Japan and had ceased, temporarily, to be a menace to British interests in India and Persia. No-one believed however that this situation would last. Russia would eventually rise again to threaten British interests, unless checked either diplomatically or militarily. To an incoming administration soon to be pledged to expensive social reform and burdened with onerous naval estimates, the military option was out of the question. A diplomatic solution on the other hand would not only safeguard interests it would have been otherwise difficult to defend but would also suit the French who had their own formal alliance with Russia. Although it would later be referred to in terms of classic balance of power politics, Imperial considerations were to the fore in negotiating and maintaining the Anglo-Russian entente. Grey forthrightly resisted calls to convert the entente into an alliance as this, he believed, could only be seen in the context of a grouping directed against the Triple Alliance of Germany, Austria-Hungary and Italy. Meanwhile. with Germany in the ascendant at the Sublime Porte, the Anglo-Russian Convention had an important side benefit. As the Permanent Under-Secretary at the Foreign Office declared: ‘Russia will inevitably be drawn into paying greater attention to her position in the Near East & there she will constantly find herself in conflict with Germany and not in opposition to us’. While Abdul Hamid ruled as Sultan of the Ottoman Empire, the Anglo-Russian Convention had little impact on Turkish relations with Britain which were already poor. This situation changed dramatically with the Young Turk Revolution and the overthrow of the Sultan. Faced with an apparently democratic movement, Grey had to perform a balancing act, at the same encouraging the new, anti-Russian, régime while seeking not to alienate St Petersburg. This was particularly important as the Russian Foreign Minister was, at the same time, clamouring for a guarantee of free passage for Russian warships through the Straits of the Bosphorus and Dardanelles. Grey was also faced with a no less important dilemma — would the constitutional change that had been forced upon the Porte by the Young Turks lead to a demand for similar constitutional reform amongst Britain’s Muslim subjects in Egypt? Almost immediately, the new régime faced a stern test following the Austro-Hungarian annexation of Bosnia-Herzegovina. To Grey’s undoubted relief, the Turks reacted prudently and a major crisis was averted. As Austria-Hungary’s ally, Germany’s standing at the Porte suffered grievously as a result of the annexation; now was the time to cement Britain’s new status as a supporter of the administration. Instead, before long, Grey developed doubts as to the democratic bona fides of the new régime, and these doubts fed upon the pessimistic reports reaching him from his Ambassador. 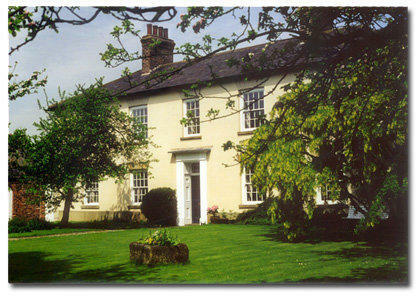 Eventually the continued cynicism of Lowther would earn a rebuke from Grey; the effect was short-lived. Events in the Ottoman Empire appeared to bear witness to Lowther’s low opinion of the Committee of Union and Progress. Grey, perhaps bored by the subject or aware of the limitations of foreign policy, left matters alone until a series of wars involving the Turks caused him to consider the implications of the break-up of the Ottoman Empire. Lowther’s continuing disenchantment with the C.U.P., combined with the continual rebuffs delivered to the régime by London, paved the way for a resurgence of German influence. This, and the concurrent Russian and French designs on the Ottoman Empire, created its own problem which was succinctly outlined by Mallet in 1913: ‘I assume that it is to the interest of Great Britain that the integrity of what remains of the Turkish Empire should be maintained — a division of the Asiatic provinces into spheres of interest could not benefit us, but would seriously affect the balance of power in the Mediterranean, our position in Egypt, in the Persian Gulf, to say nothing of India, and might bring about a European war.’ At the same time however British naval strength in the Mediterranean was being reduced. By April 1913 the strength of the Malta Squadron stood at precisely one battle cruiser while, in the summer of the following year, the Turks were scheduled to take delivery of a British-built dreadnought. And, if the rumours that they were trying to procure a second dreadnought proved correct, the prospect loomed of the Turks gaining temporary naval mastery of the Eastern Mediterranean until such times as the British Squadron could be reinforced. With the military and naval options being narrowed, Grey had but little choice than to recall Lowther and, in a belated attempt to foster better relations, replace him with a more sympathetic Ambassador. By the spring of 1914, having weathered the Turco-Italian war and both Balkan Wars, the Turks could be forgiven for thinking that their putative protectors were now poised to deliver the coup de grâce — what the Minor Powers had failed to accomplish, the Major Powers would finish. All it would take was for one of them to make the first move; each Power had its particular area mapped out dignified by such names as ‘sphere of interest’ if little else. In a last ditch attempt to forestall the inevitable the Turks turned to Russia. Nothing could have better illustrated the innate weakness of the Turkish position. In the circumstances Russian suspicion and the pressure of events resulted in the final, fatal adherence to Germany. Even here the outcome might have been different: the German Ambassador to the Porte reported ruefully on Turkey’s usefulness as an ally and was over-ruled; the Turks themselves pursued a course of delaying for as long as possible the moment when the debt incurred following the signature of the Turco-German Treaty of Alliance on 2 August 1914 would be called in. This begs the question, for how long could the Turks have kept up the pretence had their hand not been forced by Admiral Souchon? As the fate of Souchon’s squadron was to have such a bearing on the entry of Turkey into the First World War it would be as well to recall briefly the allegedly ‘resplendent’ escape of Goeben and Breslau from the British (which I have described in detail in my previous work, Superior Force). Having bombarded the North African ports of Philippeville and Bona early on the morning of Tuesday, 4 August in an attempt to disrupt the transportation of the Algerian Corps to France, Souchon returned to Messina, there to coal, before, in compliance with his orders, resuming his dash to Constantinople. For Admiral Milne, the British Commander-in-Chief, it should have been a relatively simple task, once Souchon had re-entered Messina, to blockade him there. Instead, convinced that Souchon intended to break west to interfere in the transportation once more, Milne placed his heaviest forces to the west of Sicily in a position to block this move. The northern exit of the Straits of Messina was left unguarded while, to the south, the humble light cruiser Gloucester patrolled alone. Souchon made his break late on the afternoon of Thursday, 6 August. 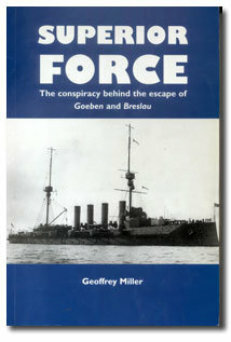 It was still possible for Goeben to have been intercepted by Rear-Admiral Troubridge’s First Cruiser Squadron, but, in a fatal error of judgment based on a notorious signal from the First Lord of the Admiralty, Winston Churchill, Troubridge decided that the German battle cruiser constituted a superior force to the First Cruiser Squadron and declined to intercept. Throughout most of Friday, 7 August, as Souchon continued towards Cape Matapan, the British were able to keep in touch through the admirable efforts of Captain Howard Kelly, who continued to shadow in Gloucester. Finally however, aware that Kelly was short of coal and fearing that his ship might be ambushed, Milne ordered Kelly to go no further than the Cape. When Kelly reluctantly gave up the chase that afternoon it was the last the British would see of the German ships until they reached the Dardanelles three days later. Would Milne have reacted differently if he had been convinced that Souchon was headed in a north-easterly direction? For it is now clear that Admiral Mark Kerr, the British Admiral on loan to the Greek Government for the purposes of reorganizing their fleet, was aware of Souchon’s destination and passed on this information to the Russian Minister in Athens, Prince Demidoff, who in turn cabled the Admiralty in St Petersburg. From first light on Saturday 8 August the Russians, but not the British, were aware that Souchon was steaming north-east, towards the Dardanelles. On the other hand, Kerr’s attempt to alert Milne, while simultaneously trying to disguise the source of his information, failed abysmally. Furthermore the Greek Premier, Eleutherios Venizelos, assumed to be rabidly pro-Entente, was not only also aware of Souchon’s destination, but conspired to supply coal to the fleeing German ships while at the same time undermining the reports of the Turco-German alliance being picked up in Athens by the representatives of the Entente. Kerr and Venizelos were both applying the same means to achieve different ends. Once at their destination, the German ships would, Venizelos gambled, precipitate a quick breach between Turkey and her neighbours under the influence of Turkey’s German ally. With Turkey in the war it would have made sense for the Entente, as they planned, to seek active Greek participation; Venizelos could then name his terms. What Venizelos did not count on was the reluctance of the Turks to enter the lists. By the time the Turks were eventually forced into the war by Souchon and Enver Pasha, Venizelos had all but lost his chance to march, hand-in-hand, with the Entente Powers. Once more, Admiral Kerr was to be his nemesis. By sending a reply to Churchill, against the wishes of Venizelos, in which he asked for a guarantee of Bulgarian neutrality or co-operation, Kerr removed the immediate prospect of Greek participation in the proposed Dardanelles scheme. Not until the campaign at the Dardanelles was almost under way would the Greeks again be approached for assistance. At first non-committal, once the assault commenced all the ambitions of Venizelos would be re-aroused and, on 1 March, he offered the co-operation of three Greek divisions for service on the Gallipoli peninsula. The British Minister in Athens was to declare that the ‘prospect of entering Constantinople as conquerors weighs more with the King and his people than that of any material advantage to be obtained by the war.’ The Greek offer was debated by the Cabinet in London on 2 March and was, Asquith noted, ‘gladly accepted by us, with the suggestion that the Greeks should also contribute their Navy (four good ships) & their excellent flotilla of Destroyers.’ However, the Russians imposed an immediate veto upon the offer. Desperate, Venizelos cabled London and Paris that ‘without having any political views on Constantinople and the Straits, we have such interests of a moral and commercial order there that we could not be disinterested in their fate.’ All he wished to do was enter Constantinople – if only temporarily – along with the victors. Greece, he breathtakingly exclaimed, ‘would not accept the city if offered to her’. What Venizelos was unaware of was that the city had, in fact, already been offered to the Russians. In November 1914 Grey learned that the Russian offensive against the Turks would, of necessity, violate Persian neutrality. Sir Edward became distinctly nervous at the thought of Russian encroachment in Persia, which directly threatened British interests in the Gulf and, more seriously, India itself. Maintaining Persia as a buffer therefore assumed paramount importance in the counsels of the Foreign Office. This, in itself, was a suitable reason for Grey not to have been overly concerned when balancing the scales by hoping to trade Constantinople for a free hand in Southern Persia and the Gulf. But was there another, underlying, reason to explain the British desire to maintain their position? How dependent was the Royal Navy on the Mesopotamian and Persian oilfields? Was there a hidden agenda? The current work, the second in a projected trilogy, examines the policy of the Great Powers towards the Ottoman Empire, with particular emphasis on charting the fluctuations in British policy and the lost opportunities to foster better Anglo-Turkish relations. The obsession with protecting India by means of the Anglo-Russian Convention limited the choices open to Grey after the overthrow of the Sultan. What choices remained were in turn affected by the character of the Ambassadors resident in the imposing Embassy building atop the hill in Pera and their dependence upon the Chief Dragoman. British policy would be guided by the necessity to prevent Russian incursions into Persia; by the anxiety felt at the resurgence of German influence in Constantinople; and by the ever-present fear that any breakdown in relations with the Porte would result in uncontrollable Muslim agitation throughout India and Egypt. Straits also details how the good intentions of the Young Turk revolution were soon to be derailed; rule by consensus would be replaced by rule by triumvirate. In part this reflected the confusion of motives amongst the Powers, not knowing whether to preserve the Ottoman Empire or to precipitate the scramble they all expected following its final collapse. This collapse, however, proved a long time coming. First a war with Italy; then one, then a second Balkan war; all of which the Empire survived, if not quite whole. The choices facing the Turkish Cabinet upon the outbreak of the European war in August 1914 were of a different character entirely; the very being of the Empire was now threatened. Could Turkey have remained out of the war? Was the possession of Goeben the sole determinant? Once the fateful decision was taken to attack Russia, it was left to Winston Churchill to finish the job of dismantling the Ottoman Empire; instead, the job finished him. Yet, although Churchill and Gallipoli would be forever intertwined in the public’s memory, the real author of the botched campaign, but who escaped official censure, was the Secretary of the War Council, Maurice Hankey. 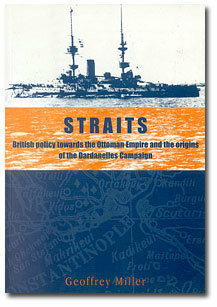 This is my last task: to offer a new interpretation of the drift to the Dardanelles showing the extent to which the campaign resulted first, as a consequence of a behind-the-scenes campaign by Hankey, second from the personal friction between Churchill and his First Sea Lord, Admiral Sir John Fisher and, third, with the knowledge that Goeben — Churchill’s nemesis — had been badly damaged and would be out of action in the first months of 1915. The reign of Abdul Hamid—the Russo-Turkish war of 1877—Britain intervenes—the fleet at the Dardanelles—the Congress of Berlin—progress and despotism—the wrong horse—the Mediterranean agreements of the 1890s—Germany steps in to fill the breach —the concession for the Baghdad Railway—the threat from Russia—the new strategic alignment. The defence of Egypt—Military apprehension regarding close Turco-German ties—the 1906 C.I.D. debate on war with Turkey—the question of the Dardanelles—a difference of opinion within the Navy—the view from the Foreign Office—the General Staff appreciation—intelligence gathering—the malign influence of Gerald Fitzmaurice— unrest within the Empire—the Anglo-Russian Agreement—the signal for the revolution —a guerilla campaign—the British Embassy caught on the hop—Fitzmaurice’s appraisal —the constitution is reinstated—hopeful signs of improved Anglo-Turkish relations —Grey’s fears—his instructions to the new Ambassador. The new regime—an early test—the secret Austro-Russian agenda—the Bosnian crisis —Isvolsky thwarted—Russia reconsiders her relations with Turkey—the demand for a Conference—the awkward question that has come too soon—Isvolsky’s new proposal— his threat—Cabinet considers and rejects the latest proposal—the question of reciprocity —the Straits memorandum—the hope that the question may now be postponed—a Conference or direct negotiations?—Isvolsky’s delicate position—the Turks seek assistance—a Balkan entente?—an offensive alliance—the first signs of reaction—the difficulty of dealing with the Committee—Parliament re-opens—a breakthrough—the Austro-Turkish Protocol—an ingenious idea—the Turks hold out for more. A Japanese analogy—the appointment of a British Naval Mission—more anxiety over German influence—the Baghdad Railway controversy—Kiamil overreaches himself—a game of bluff—the Russo-Turkish Protocol—the Conference proposal shelved— Nicolson advocates an Anglo-Russian alliance—Grey’s refusal—Hardinge’s attitude—the counter-revolution—the Action Army marches—the demise of Abdul Hamid— Lowther’s patronizing attitude—the Young Turks are granted a second chance— Lowther fights back—Austrian ambitions satiated—Isvolsky embittered—the devil you know. The attempt to separate army from politics—Ottomanization versus Turkification—the C.U.P. splinters—a British railway—British penetration into Mesopotamia—a new naval programme—a British snub—relations deteriorate—the threat of Pan-Islamism—a change of emphasis in Russia—foreign money—a scheme to employ German naval officers is nipped in the bud—a new realism—the Baghdad Railway reconsidered—Italy jumps the gun. The Turco-Italian War—opening shots—Italy alienates her friends—the Foreign Office remains faithful—the Turkish appeals for intervention—an effective guerrilla war—the Tcharykov intrigue—a Turkish offer of alliance—Churchill’s advocacy—Grey adopts a conciliatory line—the Admiralty is unconcerned—who will make the first move?—a new Russian initiative—the Russian Ambassador is disowned. The war does little damage—the hunt for scapegoats—attacks upon the C.U.P. increase —the ‘Big Stick’ election—Italy steps up the war—a pointless attack—a small victory for the Concert of Europe—a Russian volte-face—the Dodecanese occupied—the British position—Foreign Office concerns over the evacuation of the Mediterranean—Crowe’s memorandum—the C.U.P. is overthrown—a short-lived peace is achieved. Internal unrest—the Balkan League—the not-so-secret treaty—the First Balkan War— the Turks are routed—the fall of Constantinople looms—a new Grand Vizier—the delicate British position—a Russian over-reaction—the Turkish line holds—an armistice and a conference in London—a review of 1912—new proposals for the Baghdad Railway—the Conference reconvenes—the problem of Adrianople. A coup is planned—the pretext—Enver and Talaat act to prevent an ignominious peace —the personalities of Enver and Talaat—a new reply is sent—hostilities re-opened— Lowther grows weary—Fitzmaurice turns against the Ambassador—the final battle for Adrianople—the fall of Adrianople—the Turks sue for peace—the Treaty of London —the problem of the Aegean Islands—a strong navy—British Naval Mission—Lowther’s alarming reports. Grey plans Lowther’s recall—Kiamil’s coup is forestalled—the assassination of the Grand Vizier—the consolidation of the C.U.P.—Talaat, Enver and Djemal come out into the open—a new approach for a defensive alliance—the credentials of the Ambassador-designate—the Second Balkan War—a Bulgarian miscalculation— Adrianople is re-taken—the preservation of Ottoman integrity—the Turks try the patience of the Powers—the problem of coercion—the closed mind. Mallet – a new direction?—the German Military Mission—the appointment of Liman von Sanders—the Russian reaction—the delicate British position—the difficulty of dealing with Sazonov—the comparison with Limpus—Sazonov ups the stakes—the strength of the Entente put to the test—a possible concession—Grey’s predicament— Mallet’s conciliatory approach—German intelligence—the collective inquiry to the Grand Vizier— Russia must be supported. Signs of a compromise—Enver becomes Minister for War—Liman’s promotion—the crisis subsides—Russia considers her options—Sazonov’s standing is lowered—pressure to strengthen the Entente—the work of Admiral Limpus—the fate of the Brazilian battleship—Turkey buys a dreadnought—the dockyard concession—a rebuke—the Admiral’s disillusionment—Limpus attempts to leave. The islands’ question—a new cause for concern—Venizelos makes mischief—Liman exceeds his remit—the Straits are strengthened—the Turks are annoyed, the British suspicious—a shift in German policy?—the Russians take a pragmatic line—the limitations of Russian foreign policy—the Turks offer an alliance—Sazonov vacillates —Turkish naval building—tension with Greece—the curious case of the fortuitously delayed dreadnought. The easing of local tension—another alliance approach—changes in the Embassy— Fitzmaurice is forced out—Mallet on leave—German doubts begin to surface—a decision is reached—every rifle is required—the forced conversion of Ambassador Wangenheim —the terms of the Treaty—Austria declares war on Serbia—the Russian mobilization— Goeben is required—a possible trade-off?—an alliance is concluded. Churchill’s hand is forced—a deliberate act of policy?—an inconvenient opinion—policy or piracy?—a race against time—Raouf is dispossessed—the Turkish protest—Enver puts a price on Turkish assistance—a double game—Turkish mobilization—the Foreign Office abandons hope—Said Halim strikes a hard bargain—conflicting reports—a convergence of opinion—the position becomes clearer. Activity in Constantinople—a Bulgarian compact—Enver’s unusual request—his motives examined—the Turks temporize—continued anger at the pre- emption—Limpus desires to be recalled—the question of payment—procrastination in London—Admiral Milne is kept in the dark—a definite clue is received—no action is taken— the performance of the Admiralty and Foreign Office—the conspiracy in Athens. Earnest entreaties—where was Churchill?—good news from Constantinople—the onerous burden of the Chargé D’Affaires—a clearer indication of the Turkish attitude— the German ships arrive—disbelief in London—final acceptance—a provocative blockade?—efforts to keep Turkey neutral—Enver prevaricates—sanctuary is granted —an inspired compromise—the reaction in London—recognition of the fait accompli. Goeben’s new refuge—Souchon travels to Constantinople—Sazonov reacts at last— Grey’s cautious approach—Churchill’s personal appeal—the anomalous position of Admiral Limpus—Limpus is sacked—Crowe’s intervention—a grand ceremony—solemn assurances—strategic options—the difficulty of achieving surprise—the trap for Souchon —Mallet returns—an immediate success—a new pragmatism—an unwarranted complaint—an assurance is given—Mallet is deceived. A generous offer?—who rules at the Porte?—Djemal’s shopping list—patience wears thin —no effort is made to repatriate the German crews—patience is exhausted—a signal to attack—German gold to bribe the Turks—the mission of Admiral Guido von Usedom —a plan for British action—Churchill applies the pressure—the assurance to Greece—a less than generous offer—Talaat springs a surprise—a new posting for Limpus—Mallet objects—Churchill’s fury—an unsatisfactory arrangement—unseemly haste—the Naval Mission departs—varied intelligence. The Dardanelles defences—unrelenting German pressure—Enver’s authorization—a step too far—Said Halim rallies support—the victory is short- lived—Mallet’s rebuke— Churchill renews his attack upon Mallet—Carden’s new orders—a minor incident—the Straits are closed—Mallet’s surmise—a lack of suitable agents—Talaat, the pivotal figure?—Kühlmann’s mission—Enver’s mercenary suggestion—Germany buys Turkish action—hope is abandoned in London. Mallet stakes all—Enver’s secret arrangement—the German plan—the bombardment— the burden of uncertainty is lifted—a fatuous demand—last minute Turkish doubts—no disavowal is possible—the Embassy staffs depart—Foreign Office policy is defended— Sazonov hesitates—the formula of Ottoman integrity is abandoned—Churchill’s prompt blow—change at the Admiralty—Fisher returns—Limpus urges caution—a futile demonstration—its consequence—panic in Constantinople—the declaration of war— Churchill orders a repeat dose—the Turkish response—Churchill prevaricates—a private war. The attractions of the Dardanelles—a right and obvious method—no army is forth-coming—the effect of Carden’s lucky shot—Churchill’s volatile mind—the exploits of B11 and Doris—the Turks under-estimated—the appalling prospect on the Western Front—Hankey’s memorandum—Churchill’s option—Fisher’s caution—competing pro-jects—Lloyd George enters the fray—the higher direction of the war—a Russian appeal —Enver takes charge—a Turkish rout—Kitchener’s pessimism—no troops to spare— playing the German game. An important adherent—Fisher’s crucial contribution—an important alteration—a gibe —its curious effect—the inquiry to Carden—an alternative explanation—Northern possibilities—a limited action?—planning for the Borkum operation continues—Carden’s reply—its effect—Admiral Jackson’s cautious appraisal—the question of timing— intelligence from Constantinople—a window of opportunity—the debate in the War Council—Kitchener now enthuses—Balfour is prescient but quiet—Fisher loses his grip. A convergence of desires—Churchill holds to the Northern option—Carden’s plan arrives—a novel suggestion from Fisher—conflicting signals—Churchill’s bombshell in the War Council—Asquith’s curious conclusions—the issue is fudged—Churchill proposes, Fisher opposes—Fisher catches cold—his unease becomes known—Hankey intervenes—send for Jellicoe?—Churchill acts to silence the opposition—Fisher’s surprising reaction—a sad spectacle—Hankey and Fisher collaborate—Churchill finds a scapegoat—Asquith’s lapse of judgment. Problems with the French—a rebuff—Grey’s support is enlisted—a further precaution— Churchill cannot risk the French obtaining command—The First Lord has his way— Augagneur is convinced—the Grand Duke is dealt with—the Russians are surprised —Fisher makes a stand—Asquith stands firm—a scene in the War Council—Kitchener’s athletic intervention—were the risks made clear?—a trade-off—Fisher’s reluctant acceptance. An immediate meeting is convened—tacit acceptance—the power of naval weaponry—a misapprehension—Hankey’s concern—a new French initiative—the prevarications of Premier Venizelos—the question of troops —a new offer to Greece—Hankey’s calculating assent—Kitchener has second thoughts —pressure is applied—the effect of the opening bombardment—troops are committed. A hidden agenda?—a Persian oil concession is granted—Admiralty trials—oil to be used as an adjunct only—the competition is eliminated—D’Arcy’s lack of success—Fisher, the oil maniac—the last-minute strike—the new menace—Churchill, another convert—the Pakenham Committee—the Royal Commission on Oil Fuel—a forgone conclusion?— the quest for the Mesopotamian concession—Greenway’s alarming evidence—Fisher is unconcerned—the advantages of oil—a surprise recommendation—the Commission bites back—APOC vs. Shell—the question of price. The Admiralty balks at Greenway’s terms—the need for capital—Indian participation? 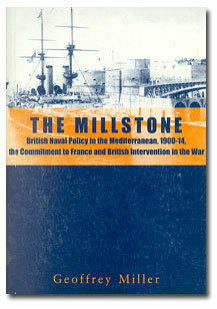 —Churchill’s important memorandum—competing standards—Churchill argues persuasively—the debate is inconclusive—the decision to revert to coal in the Revenge class —the Admiralty tries to enlist the support of the India Office—the logical conclusion —the Admiralty enters the oil business—the last opposition is silenced—Anglo-Turkish negotiations—Admiral Slade’s commission—a multitude of applications—a deal is done —the Fusion Agreement—a final complication. 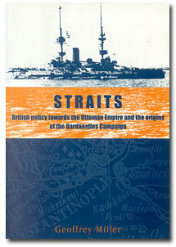 Anglo-Persian makes a move on the Mesopotamian fields—the question of direct influence in Mesopotamia—the Admiralty position—the Admiralty and Foreign Office clash—the problem of overt British participation—the undesirability of reciprocal rights —the negotiations stall—the finalization of the APOC deal—Churchill’s five conditions —harsh criticism—appeasing the Russians and Shell—the test of war—the British position in the Gulf secured—the fate of Constantinople—Russian apprehension —confusion amongst the allies—no way to run a war. The Director of Naval Intelligence and his private initiative—the reappearance of Fitzmaurice—secret Anglo-Turkish talks—something more than money—electrifying news—Fisher’s hasty reaction—a secondary bombardment—an approach to the Vali of Smyrna—the promise of a coup—Grey has no room to manoeuvre—the failure of these attempts—the question of Greek participation—Grey’s innocuous statement—Russian apprehension turns to alarm—fears of a separate peace—another sweeping offer by Venizelos—the Russian veto—a compromise?—Foreign Office objections—the issue is decided in Athens—the Tsar’s decree—a link between Constantinople and Persia?—the Russian proposal is debated—a quid pro quo—the fate of the neutral zone in Persia—the consideration of British desiderata—summary.